Home / Weight Loss / Real Weight Loss Stories / Engineer Turned Zumba Instructor Kamna Grover Answers The 12 Most Asked Weight Loss Questions! Engineer Turned Zumba Instructor Kamna Grover Answers The 12 Most Asked Weight Loss Questions! 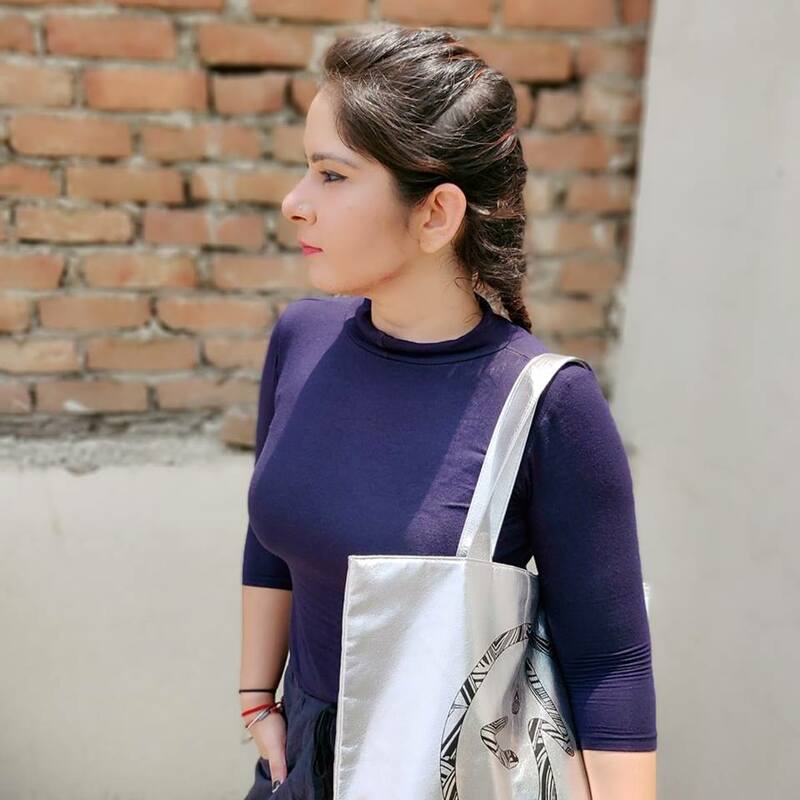 An engineer turned Zumba instructor, Kamna Grover is a fitness enthusiast and blogger/YouTuber spreading a word about healthy eating and dancing her way through the weight loss ladder. 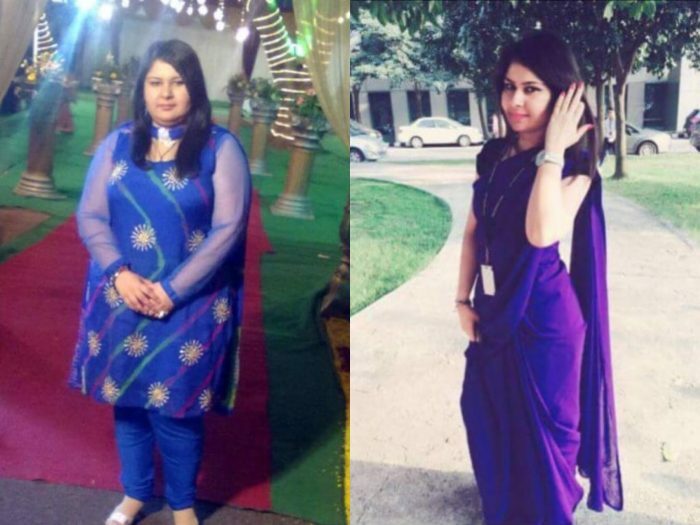 She weighed a whopping 99 kgs five years back, when some family friend’s comment hit her conscious high and geared her up to embark on a journey that required the sacrifice of the food and the flavour. In a short span of two years, Kamna lost almost half her weight and gained ounces of confidence to look at the society flat stomach. She is determined to encourage her fellows to be inspired by her journey and have a fresh and healthy beginning for themselves. She believes that fitness isn’t a goal that you achieve for once, but a happy place where you’d like to stay forever. She joins Women Fitness India this month to answer the most asked weight loss questions. I’m working out more than ever but still not losing weight. What should I do? Exercising, alone, is not enough to lose weight and working out more is not a way out from maintaining a healthy diet routine. A fit body asks for moderate workout cycle, consumption of good food and nutrition and continuity in action. There is always something wrong with the quantity, quality and timing of calories we consume – when the work out fails to show results. Twitch your diet a little to procure maximum benefit. Of course, it does. Timing is everything. If you follow a perfect timing, you are even allowed to have cheat meals in between your diets without affecting your numbers. Timing your food in short and square meals prevents you from problems like water retention, indigestion or acidity that causes swelling and weight gain. How can Zumba help in weight loss? Zumba is a fitness program inspired by a lot of Latin dance forms. It is a high energy and fun cardio workout recommended for weight loss and body toning and sculpting. I have, personally, tried a variety of workout programs and exercise regimens, but Zumba stood out amongst them all for it is too much fun and has prolific results. Zumba is that one fitness routine that you can never get bored of. What exercises should I do to tone my body after losing weight? There are a plenty of exercises that specifically mean to tighten the lose muscles. There is Zumba toning or cardio circuit training that can help in building muscles by strength training. Cardio exercises like push-ups, lunges and planks are good for toning as well. Swimming and massaging are also advisable. I have reached a plateau after losing 15 kgs, what can I add or change to lose more weight? Your body requires a jerk from the routine diet and workout regimen you are following. Our bodies tend to get used to the routines they are exposed to for longer times and thus stop responding in a manner they had been doing earlier. You can either change your diet for a day or two by opting for liquid or fruit diet or tweak your workout routine by adding extra hours for running, cardio and other exercises. Are four, five, or six small meals better than three big ones? Yes, it is. I often recommend five course meals over three big ones to stimulate appetite and get the best weight loss results. When we keep our stomach hungry for longer hours, it tends to eat more than it should which also reduces body activity. Small and quick meals help you eat less and prevent acid formulation in the body. Bring your appetite in your control more than you are in control of it. Should I follow the fasting diet? Fasting or intermittent dieting is a quick-fix for your weight loss problems or a ‘jerk’ when you reach a plateau, but not an advisable option for a longer run. Keeping your body hungry for longer hours causes a decrease in blood-sugar levels, which eventually leads to weakness and inactivity. Also, once the body tendency will adapt to the diet routine, you’ll need a new low to boost your weight loss practice. Can I really eat an endless amount of fruits and still lose weight? Excess of everything is bad – be it junk or fruits. Most of the fruits are rich in natural sugar content, which is not a preferable choice while losing weight. Also, mixing fruits is a not an advisable dietary option. You can eat one small bowl of a fruit to satiate your hunger pangs in between two proper meals. How can I curb my midnight hunger pangs? Any healthy alternatives? The best way to curb your midnight hunger pangs is to sleep on time. If you’re into a routine that does not allow you sleep 3 to 4 hours post dinner time, then you can have a glass of hot milk an hour after you dine or opt for healthy snacks like a bowl of papaya, roasted chickpeas, fox nuts or vegetable sandwich (without salt and pepper). Make sure to have a cup of green or black tea or lukewarm water an hour or a half before sleeping. What is More Important—the amount of calories or the type of calories you consume in a day? Both of them are equally important. In fact, add the timing factor and we have a three-wheel cart ready. Our body requires protein, carbs, fiber and even good fats to keep us active, full and healthy in life. A balanced diet would be the one which fulfils the body’s nutrition requirement and still help lose weight. Are there any healthy desserts? If you have a sweet tooth, you can satiate your taste buds by opting for healthy desserts like sweet broken wheat, oat cookies, dark chocolate or oats kheer. But remind yourself to keep the quantity and timing in mind and compensate the calories you have gained in the very next meal you eat. Which is Effective – Moderate Activity or Intense Exercise? It depends. Ask yourself first – What is your aim? Are you looking to lose weight, or maintain the goal you have scored? If the former is true, you can or should occasionally go for intense workout. But, do remember to not hustle into losing weight and choosing a workout cycle you cannot always follow. Opt for a workout regimen that you can follow for a longer time and raise its intensity every 15-30 days, depending upon the responses your body gives. If the latter is true, you can manage with moderate activity combined with modular diet. If Kamna’s story inspired you, click here to read more such spectacular weight loss stories!